Why do we love Marc Jacobs? Oh let us count the ways. Jacob’s almost comic sartorial view has tickled us through a few decades of textile bliss, and his Spring 2013 collection was nothing short of enlightened. We mean enlightened in a most literal context – stripped down, if you will. Today’s woman doesn’t need all that jazz, she’s given up on glitz and glam and prefers to parade around in basics. Mind you, basics that still maintain their frills of femininity. On the other hand, she may be feminine but she’s definitely not soft. And her prints and patterns speak loudly so she doesn’t have to. Imagine a modern-day Edie Sedgwick, and check out some of our favorite looks here. 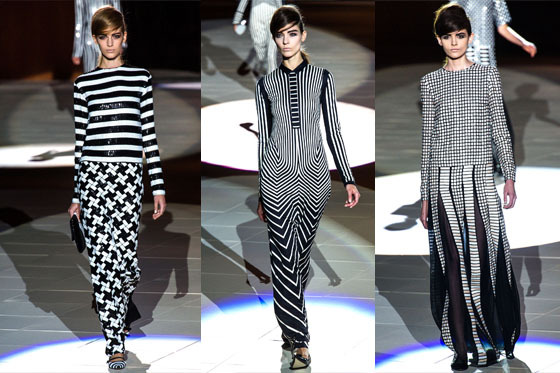 These are just a few of the many reasons we love Marc Jacobs.